Plan your worship services with more ease than ever before. 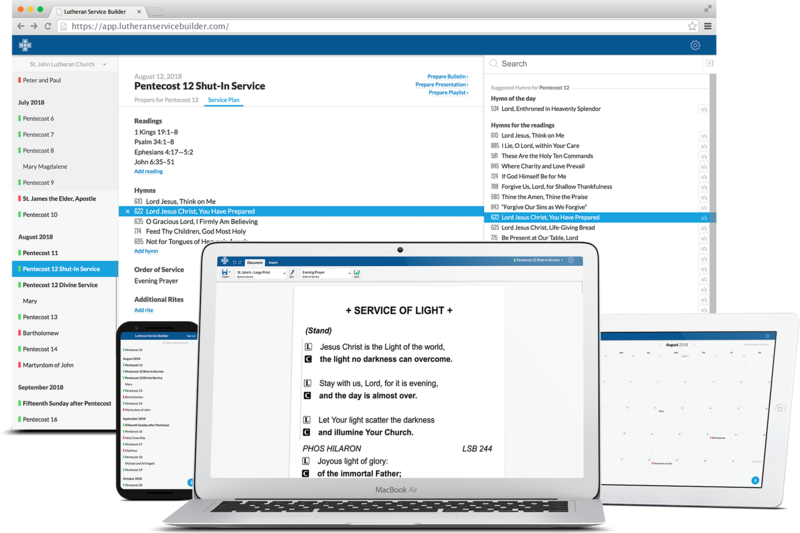 Lutheran Service Builder is a web-based program that allows churches to quickly and easily plan services, create custom bulletin interiors, export presentations and playlists, and conform with copyright requirements. 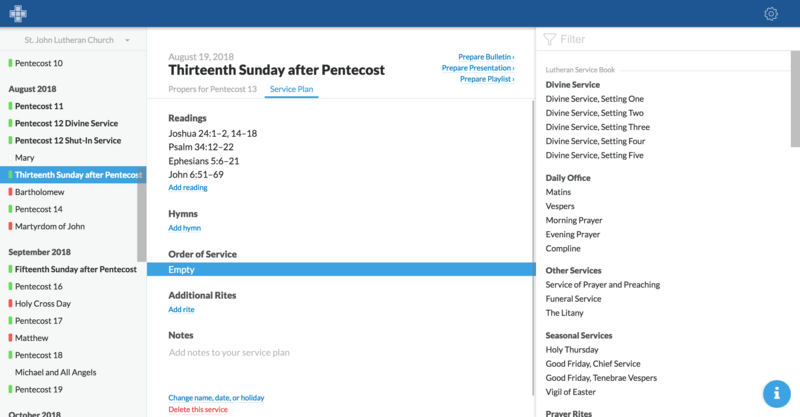 Select any day on the calendar view to create a worship service for it. Choose which order of service to use, and add additional rites or notes. Use the recommended readings and hymns based on your lectionary selection, or choose your own to customize the service. Choose whether to show all content or just headings, or musical notation rather than text only. Save and reuse custom formats for bulletins and presentations. Export the content for your worship folder to a word processor for printing. Save your presentation to display during the service. Download music files and create a custom playlist. 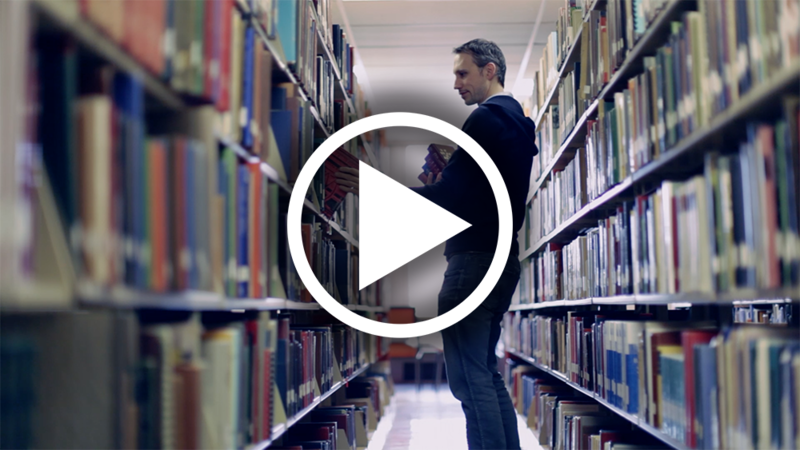 Meet the seminary student who developed Lutheran Service Builder, and see how the program became available to thousands of churches and adapted to keep up with changing technology.